Cloud Bursting : What is Cloud Bursting and When We Need it ? The Customize Windows > Computer and Internet > Cloud Bursting : What is Cloud Bursting and When We Need it ? 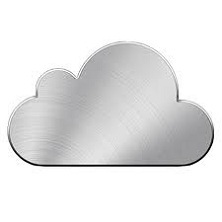 Cloud Bursting and a space removed between these two word – Cloudbursting are fully different – the first one is related to Cloud Computing and is to nature. Cloud Bursting is actually the deployment of Private Cloud to get resource from Public Cloud when there is excess demand limited by Private Cloud configuration. The word Cloud Bursting might make you to feel some what like what is CPU Bursting actually is. What is this Cloud Bursting is ? Cloud Bursting is a model of application deployment where an application is running in a private cloud or in a data center until it breaks and exceed the working capacity within the Private Cloud and then there is migration of workloads which will be running in a public cloud. The advantage of this type of hybrid deployment is that, an organization only pays for the extra resources when these are strictly necessary. Workload Migration : The ability to clone specific application environment in a consistent manner across other cloud with an immediacy on demand. Synchronization of data : The ability to maintain a real-time copy of data between two clouds. Network connectivity : The ability to allow the flow of network traffic between two Clouds. An example of this Cloud Bursting is given in this example – a simple web application based on Tomcat as the web front and MySQL as database can be taken as an example. On both nodes WAN is used as a channel for replication between two instances of MySQL and other software to manage the migration of workloads between the two instances. Actually this is too much simplified explanation of how Cloud Bursting works. When We Need Cloud Bursting ? From the written text above, you already understood, Cloud Bursting is done to save the overall cost with the assurance for high availability. The objective is to apply the Cloud Bursting method the way that avoids any changes needed manually within the application and the database, linking the replication service to existing instances of MySQL. This Article Has Been Shared 9100 Times! Articles Related to Cloud Bursting : What is Cloud Bursting and When We Need it ? Title: Cloud Bursting : What is Cloud Bursting and When We Need it ? Cite this article as: Abhishek Ghosh, "Cloud Bursting : What is Cloud Bursting and When We Need it ?," in The Customize Windows, October 19, 2012, April 18, 2019, https://thecustomizewindows.com/2012/10/cloud-bursting-what-is-cloud-bursting-and-when-we-need-it/.